A pair of paintings, shosha and gyosha, a wood-chopper and fisherman in a mountainous landscape. 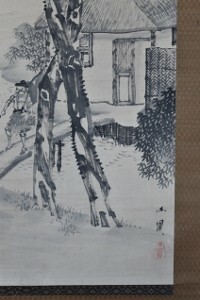 Sumi on paper, image size 42.25 x 10.9 in; 108.3 x 27.7 cms. 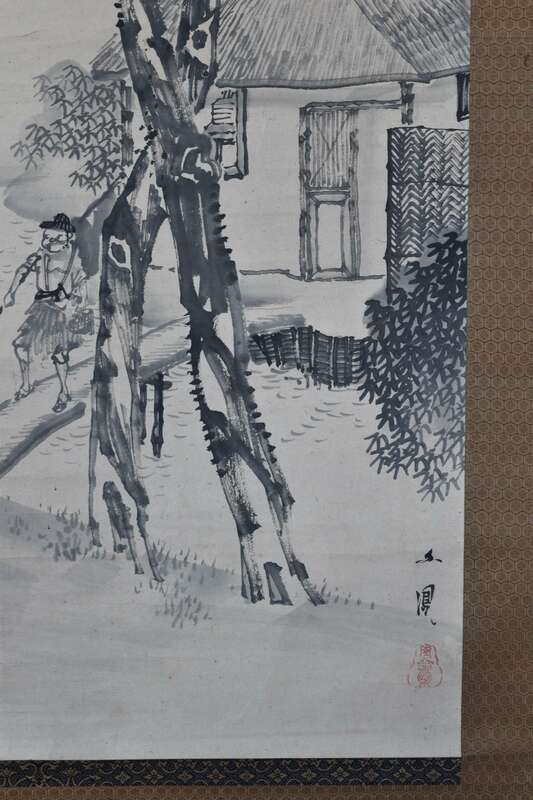 A highly talented Shijo painter and haiku poet who studied under Kishi Ganku and was much influenced by Chinese painting before developing his own individual style. 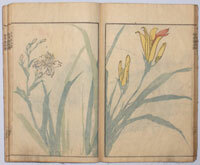 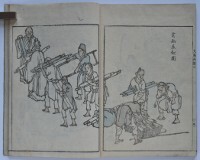 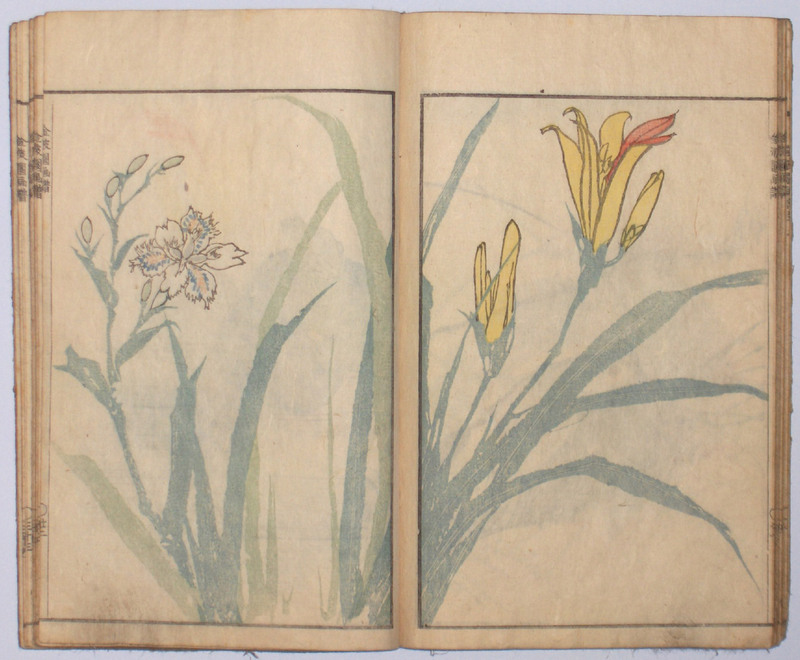 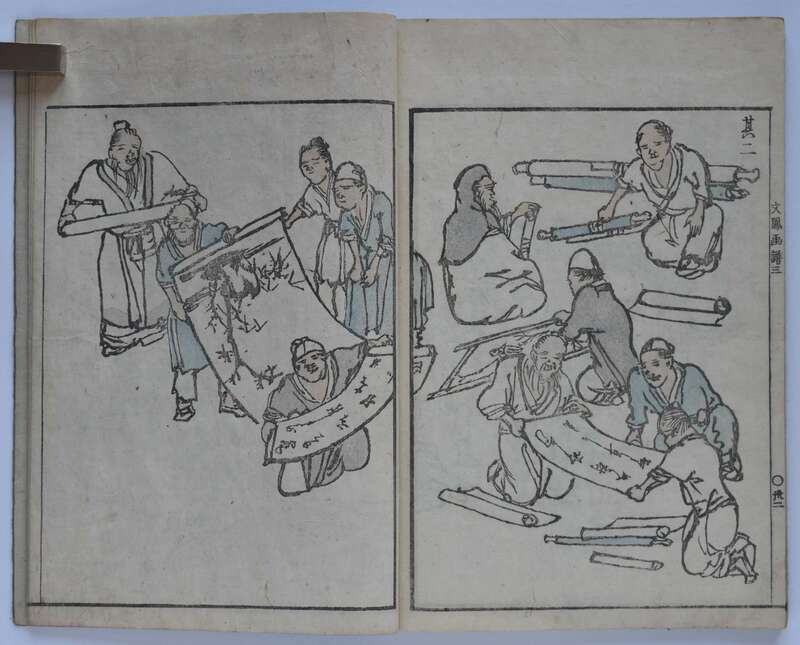 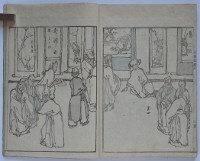 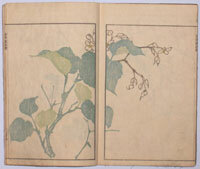 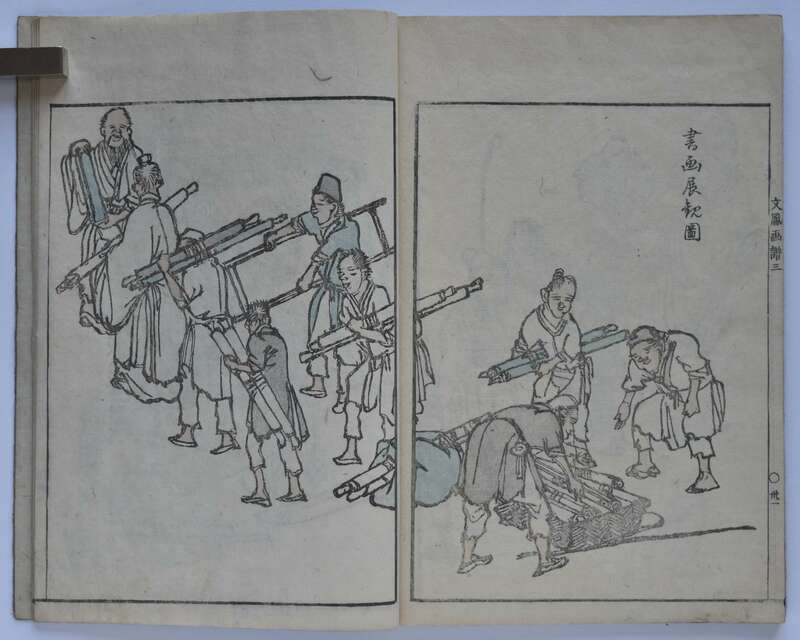 Illustrated numerous ehon including Bumpo gafu, vols 1-3, 1807-13 (see following item); Kaido kyoka awase, 1811; Bumpo sansui gafu, 1824. 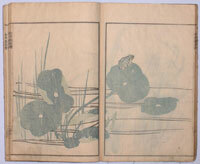 Minor flaws but generally good condition. 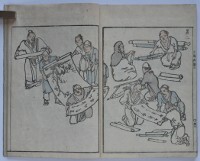 Each signed Bumpo with Nanzanju seal. 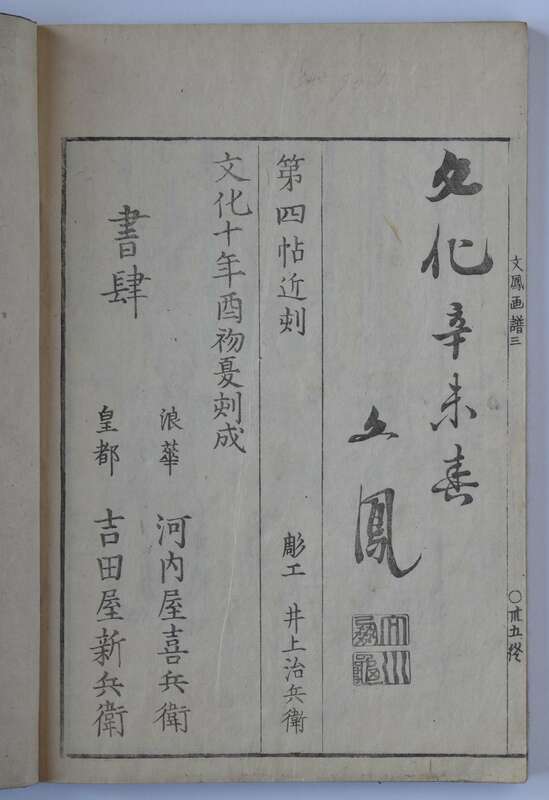 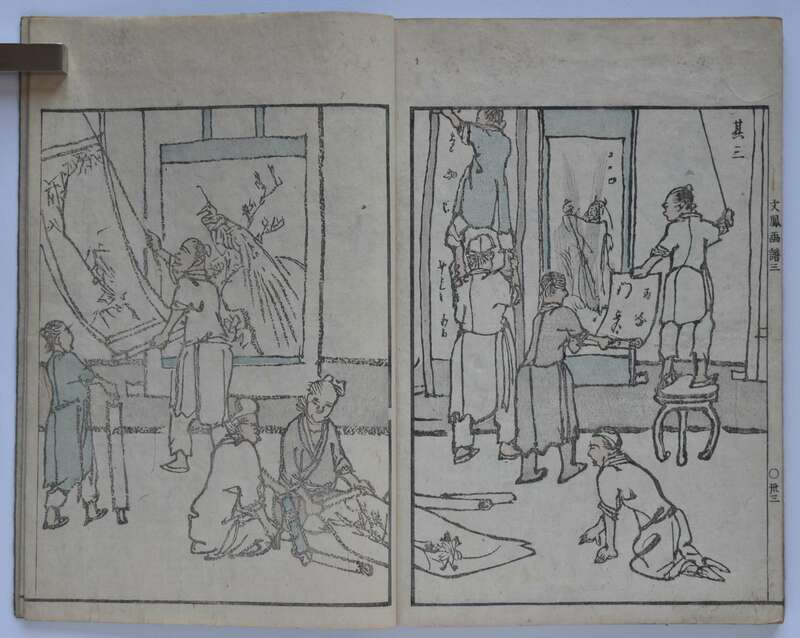 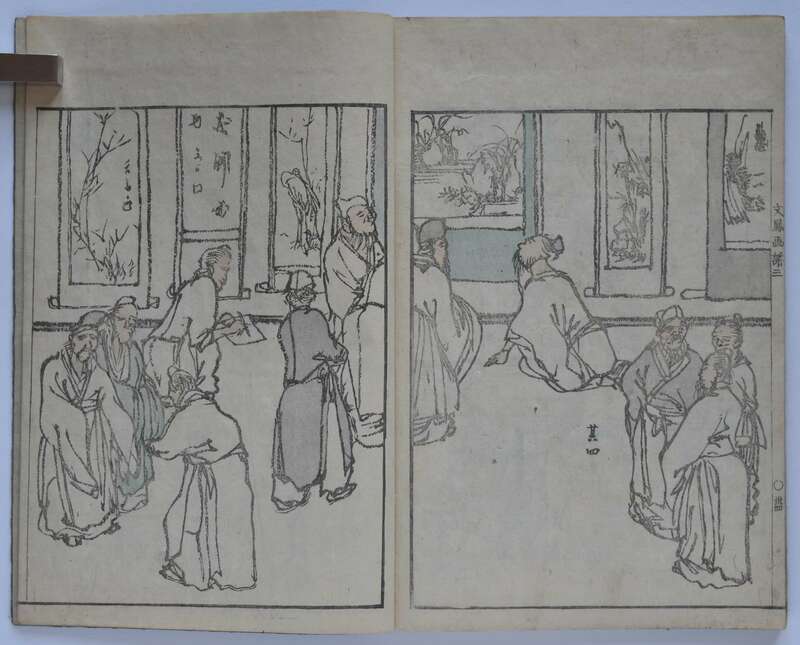 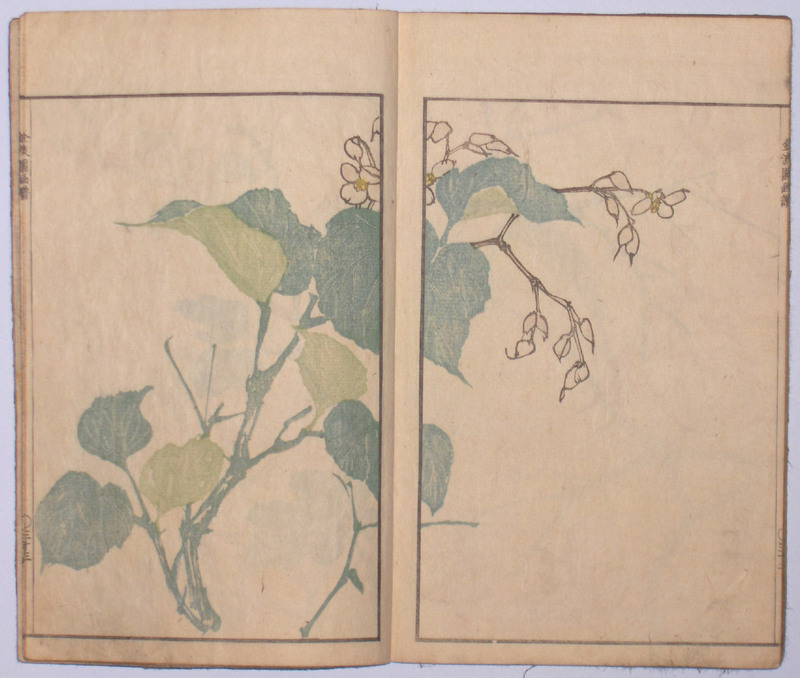 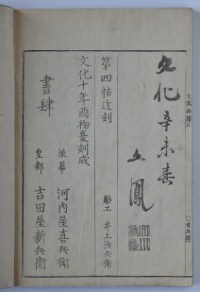 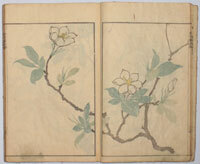 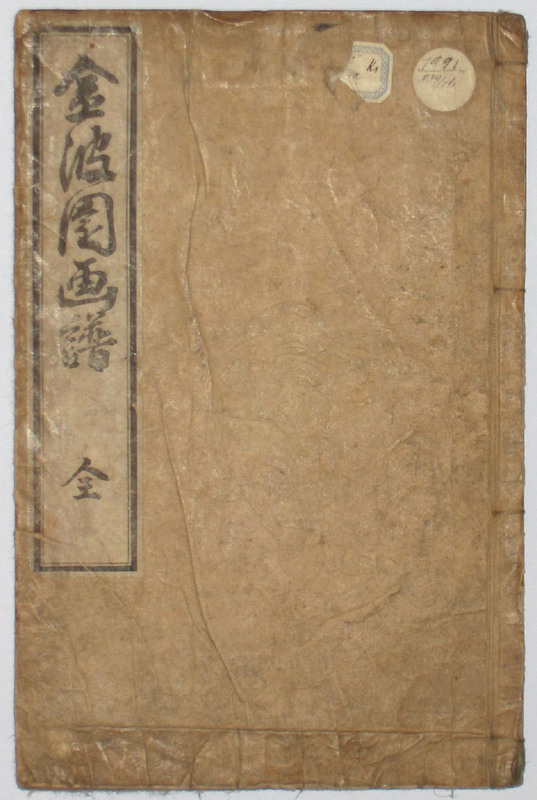 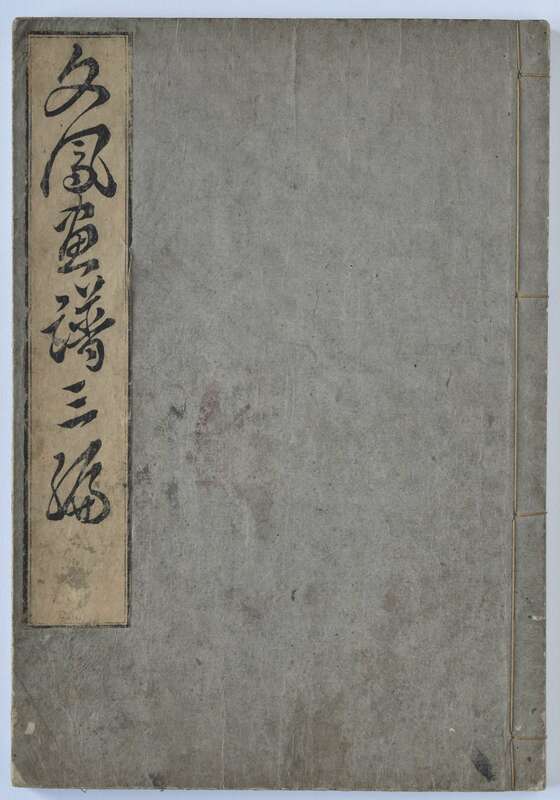 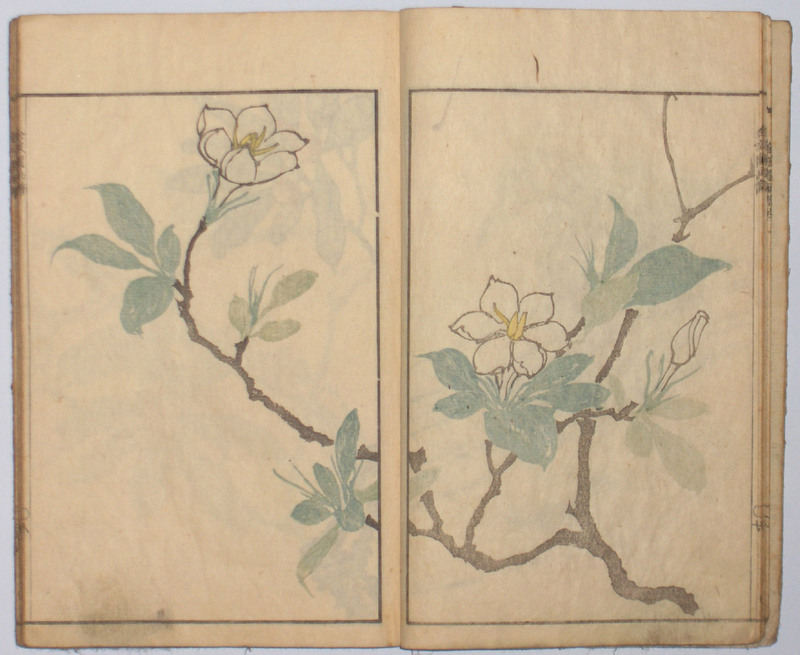 One volume complete Kimpaen gafu “A Book of Paintings by Kimpaen [ Bumpo ].” Published Bunsei 3, 1820, by Hishiya Magobei. 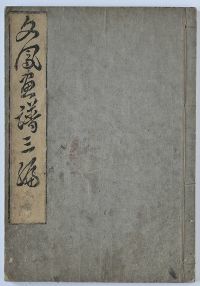 Bumpo’s major book of kacho-e. 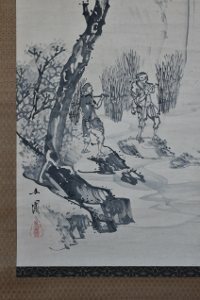 The better impressions ( as here ) do best justice to what Jack Hillier called the “boneless” technique ( without outline ). 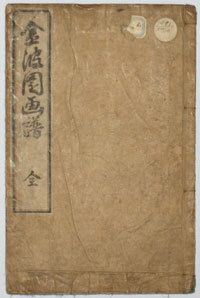 Original covers with an indented mushroom design and title slip. 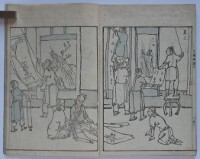 Minor thumbing and other minor marks, otherwise very good condition.